Loved this beautiful photograph of an Irish dancer waiting for recalls at a Florida competition, also known as a feis. Her beautifully makeup was such a lovely compliment to her entire look for the competition. I love seeing dancer’s eyes sparkle to coordinate with their dresses, and this was done just perfectly. 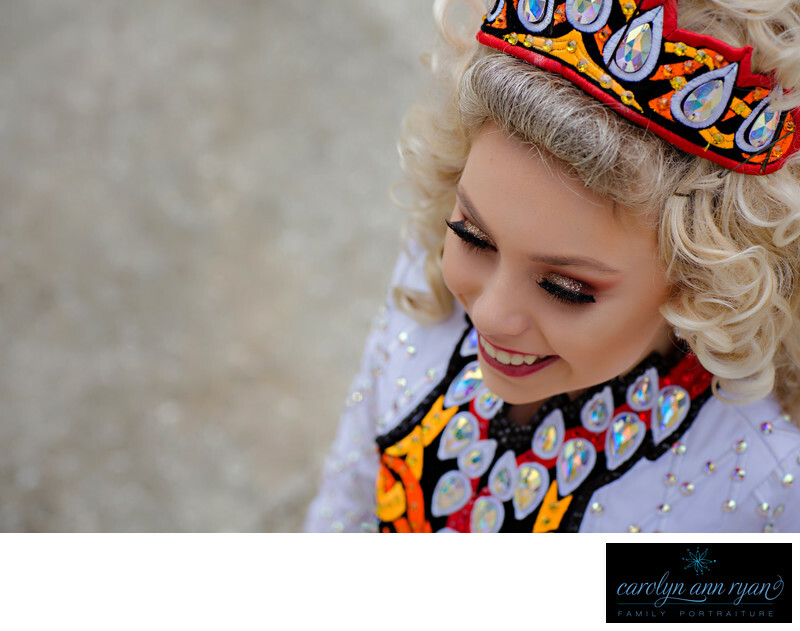 Keywords: dance photography (15), dance portrait (6), dancer (3), feis (27), feis life (3), feis photos (21), feis Portraits (9), gold (6), irish dance (39), irish dance costume (24), irish dance dress (27), Irish dance makeup (6), irish dance photography (39), irish dance photos (39), irish dance portraits (27), Irish dance wig (3), Irish dancer photos (3), Irish Dancer Portrait (15), North American Irish dance championship (3), oireachtas (18), Open Championship (3), recall (3), red (51), white (69), world Irish dance championship (3). 1/640; f/4.0; ISO 100; 85.0 mm.